Pioneers in the industry, we offer hose reel fuel dispenser, mobile fuel dispenser, diesel fuel dispenser and portable fuel dispenser from India. Transaction Stores Last 24 hours, last months, last year transactions. Metrology Approved Dispenser. Approved by Weights and Measure, Government of India. 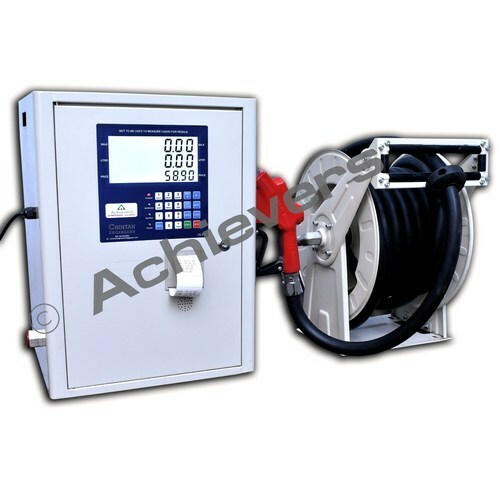 Achievers new designed dispensing hose reel with quantifying flow meter, used tanker traffic system, which can be quantified by the volume and unit price, automatic off when the volume is achieved. Easy to install, versatile, compact, necessary to complete mobile or fixed tanks. We are engaged in offering Mobile Fuel Dispenser to our valuable customers. These mobile fuel dispenser are rigorously checked on various quality assurance parameters, in order to ensure a defect free range. Owing to their robust design and longer functional life, these dispensers are highly demanded. 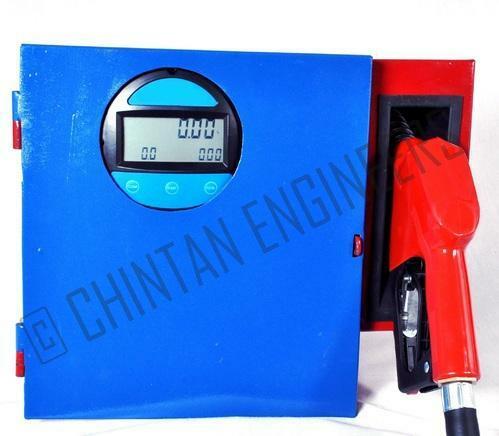 Mobile Fuel Dispenser is designed with the same facility of Mobile fuel dispenser flowmeter, suitable for truck, oil station, farm, and factory to fill or dispense oil for cars or machines.This Portable fuel dispenser for trucks is intended for the private diesel-fuel gadget, it is anything but difficult to introduce, can be fitted on the divider, or specifically on the tank with brisk coupling.Portable fuel distributors from ACHIEVERS are perfect for transporting fuel to the place of utilization, especially for development, farming, and ranger service situations. With advanced measurements for vans and pickups, mobile fuel tanks are utilized for supplying diesel or bio-diesel controlled hardware or business vehicles on location and in this manner counteract irritating and expensive operational intrusions. 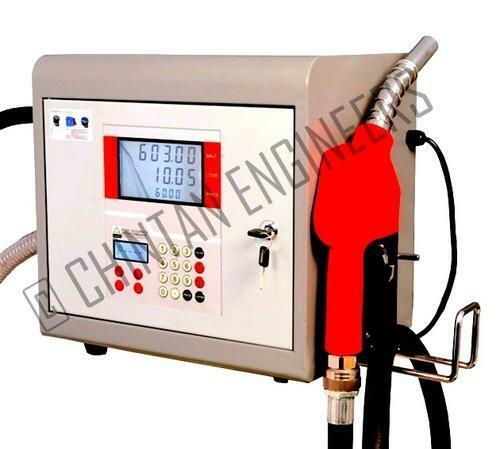 We are engaged in offering Diesel Fuel Dispenser.It has got forced air cooled and easy to install features. Unbreakable material grade, clear polycarbonate bowl with embossed volume labels for exact fuel storage and dispersion make this one a winner in the market. We are leading manufacturers of Portable Fuel Dispenser.These Fuel Dispensing Unit are thoroughly kept an eye on different quality confirmation parameters, with a specific end goal to guarantee a deformity unfenced. Attributable to their hearty configuration and more useful life, these Fuel Dispensing Unit are profoundly requested. 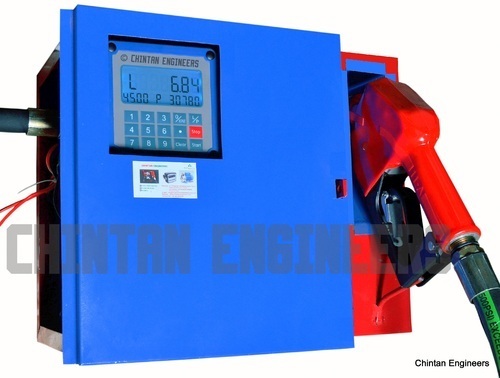 Fuel Dispensing Unit is planned with same office of Mobile fuel dispenser flowmeter, reasonable for truck, oil station, ranch, and production line to fill or apportion oil for autos or machines. Looking for “Mobile Fuel Dispenser”?